Owen did most of the work on this one; I just painted the letters. 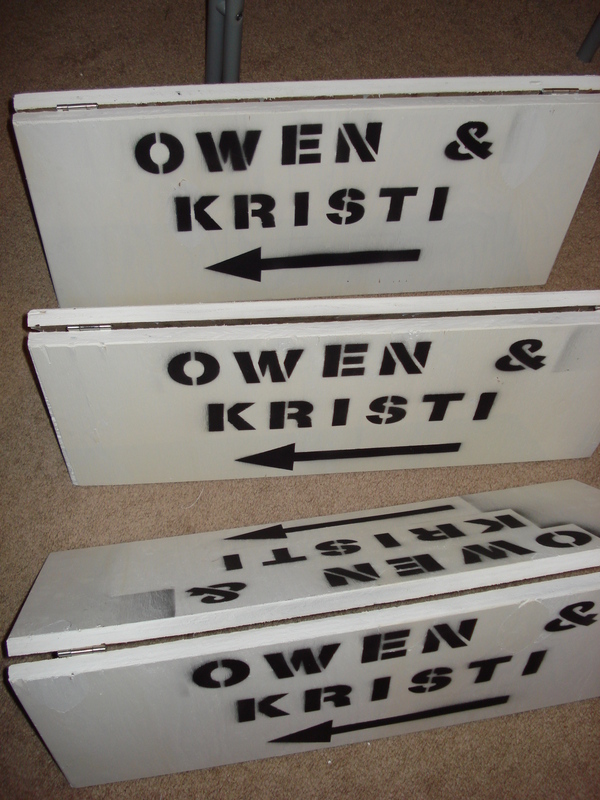 Our reception is located about a 20 minute drive away so we need a few signs to show guests where to go. I need a wedding binder to keep all of my ideas instead of under a bunch of bookmarks on my computer. Since I don’t want to waste a ton of paper to print them out, I’m just going to post ideas here so I can be a little more organized. Pretty exciting stuff!